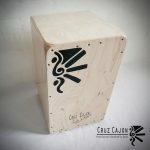 Heidi I’m loving your work and lesson on Cajon. You ave a great way of breaking down the beats and patterns and going through them with the beginner in mind. Keep it going! Ordered my cajon at the end of September, it was shipped out from Spain on the 5th October and arrived in Plovdiv, Bulgaria on the 9th. Fantastic! and no taxes to pay! I’m an ex-drummer of 30 years in the UK now living in Bulgaria, I have a djembe and a Turkish hand drum – I’m limited to hand drums as I don’t have transport here and getting a little too old now for gigging with a large drum kit. Saw Heidi busking in Cambridge in August 2011 and loved the sound of her cajon and the music of her band Fernando’s kitchen so I bought their CD. My brother plays flamenco and jazz guitar. 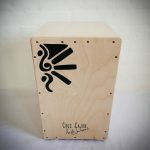 So here we are a year later, came across her website with the lessons etc… and decided to buy a cajon for my birthday which is some day soon and to add to my collection. Have already started her lessons. 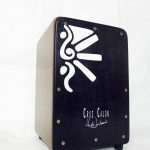 The cajon is great quality and was fresh from the factory – number 5. Here’s wishing heidi great success.